Lisbet is a 16 year old junior at Birmingham Community Charter High School. 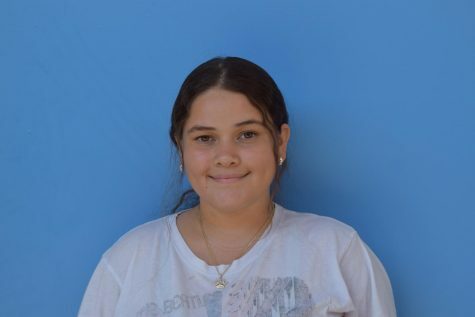 Lisbet's goals for her junior year are: to pass all her classes, join clubs, and have as much fun as possible. She also hopes to attend more school events because during the last two years, she didn't attend any events and regrets it. After graduating from high school, Lisbet plans on going to college. Her future career has changed a few times, but for now, her mind is set on becoming a dental hygenist. She also plans to do some traveling when shes older. Her top two countries she hopes to visit are Italy and Greece. Lisbet's favorite season is summer and during that time she enjoys going to the beach and swimming. She also loves it because she can go to sleep late and sleep in. Lisbet also recently came to love the adrenaline she gets from rollercoasters. So her new favorite hobby is going to Six Flags. Her other hobbies include reading books, listening to music, and watching Netflix. Lisbet's passion is reading romantic novels and listening to R&B. Her favorite show, and the only one she's ever finished on Netflix, is One Tree Hill and she is working on finishing Gossip Girl soon. At school, Lisbet is known to be a very shy person, but outside of school she can be a completly different person. Lisbet values her family a lot and loves spending quality time with them.